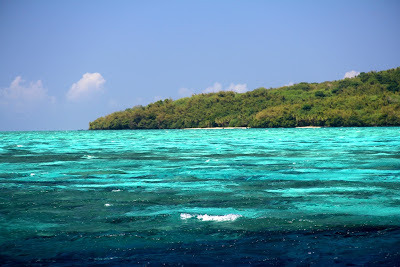 Yap State includes two dozen coral atolls and raised coral islands stretching across approximately 800 kilometers (500 miles) of Western Pacific Ocean. 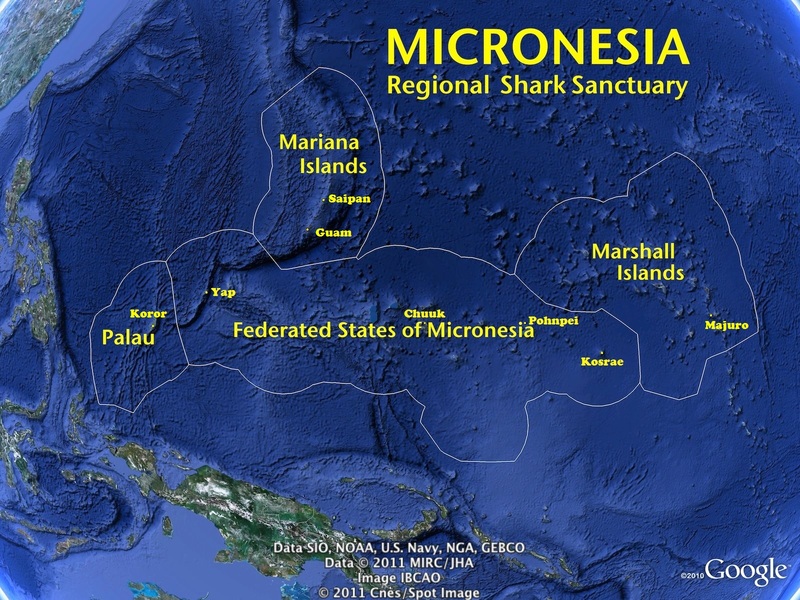 Pohnpei and Yap, two of the Federated States of Micronesia, or FSM, are moving to declare their waters shark sanctuaries. Each state’s senate has voted to ban the fishing, sale, trade, and possession of sharks within its waters. The governors of each—John Ehsa of Pohnpei and Sebastian Anefal of Yap—are expected to sign the measures into law. 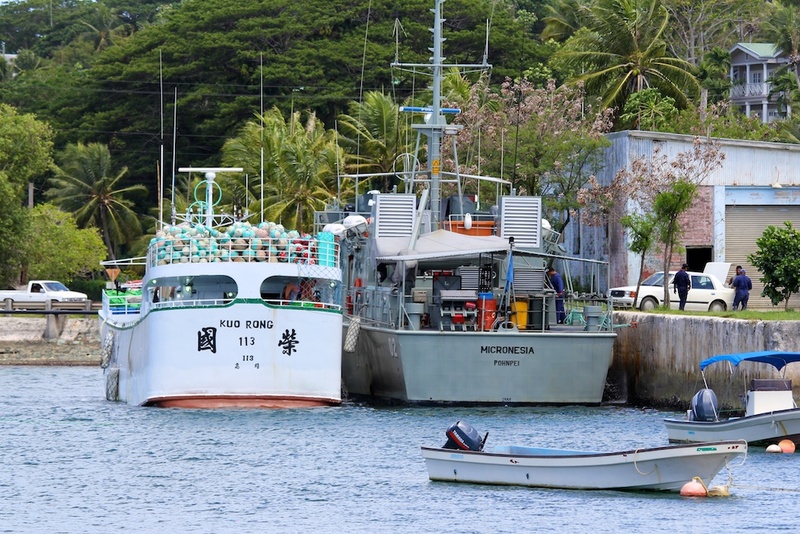 With these new shark protections in place, Chuuk would be the only FSM state to allow shark fishing. Angelo Villagomez of The Pew Charitable Trusts with Mary Linda Salvador and Eugene Joseph of the Conservation Society of Pohnpei. 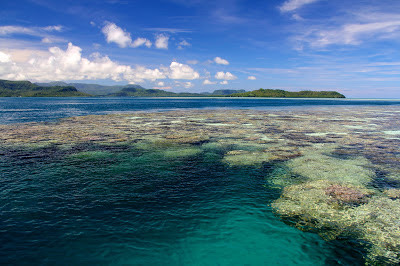 The islands of Pohnpei are ringed by coral reefs. Sharks play an important role in maintaining healthy reefs. Protections allows sharks to fill their ecological niche as apex predators, helping to maintain ocean health. 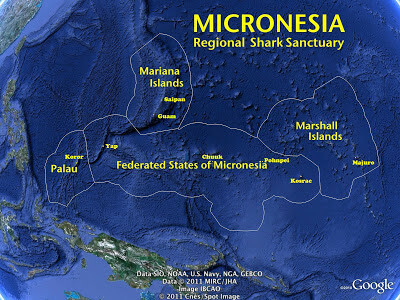 These actions by the two states move the region a step closer to the creation of the Micronesia Regional Shark Sanctuary, which would prohibit commercial fishing of sharks across a swath of ocean nearly as large as the European Union. 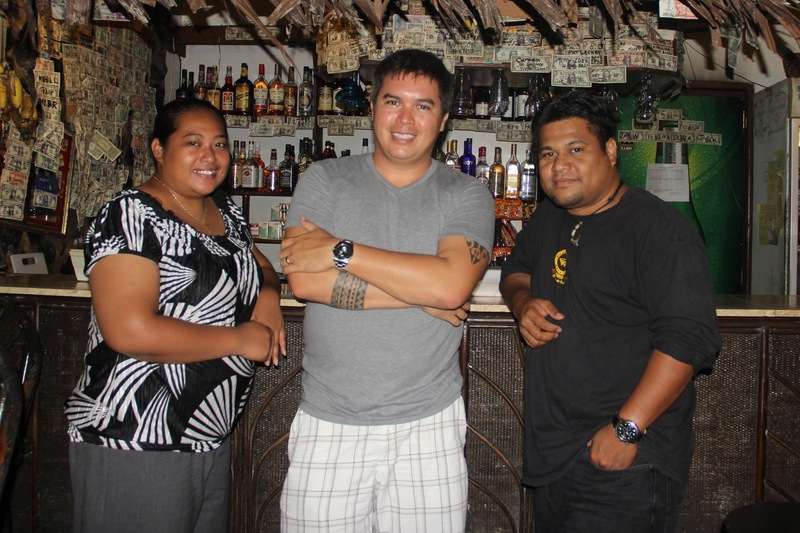 The effort began at a 2011 meeting of the Micronesian Chief Executive Summit. There, the governors and presidents of the Federated States of Micronesia, the Republic of Palau, the Territory of Guam, the Commonwealth of the Northern Mariana Islands, and the Republic of the Marshall Islands agreed to create contiguous sanctuaries across the islands’ exclusive economic zones. 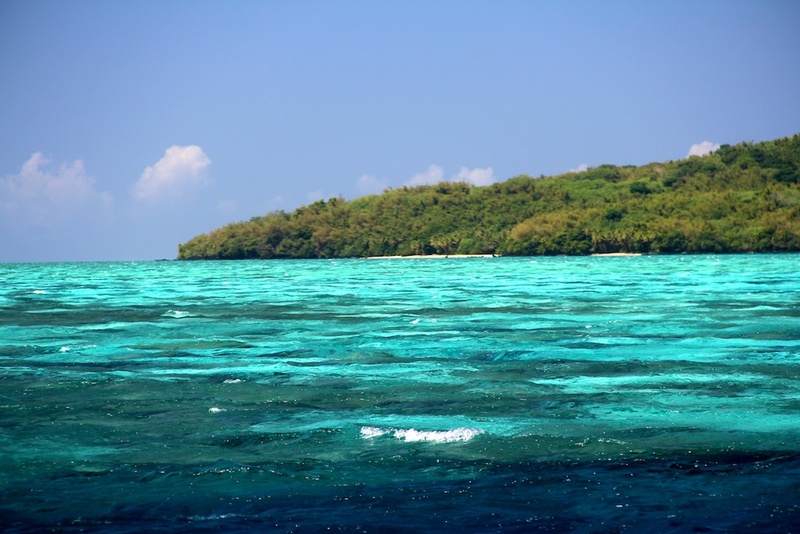 Once Chuuk and the national government of the FSM implement their sanctuaries, the regional sanctuary will stretch across about 6.5 million square kilometers (2.5 million square miles) of the Pacific.